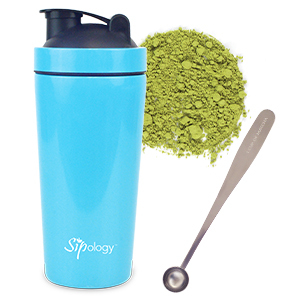 Easy to use shaker for cold drinks, cocktails, or mocktails. 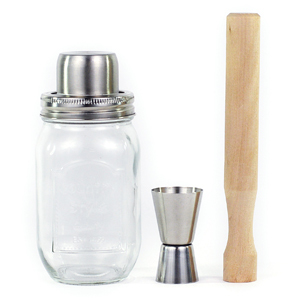 Built in strainer to filter and pour drinks, Mason jar 17 fl oz (500 ml), Double-sided jigger 0.5 fl oz/1 fl oz (15 ml/30 ml), Muddler. Packaged in a gift-ready box. Includes: 4 Stacking Tea Tins - Classic. Classic Mesh Ball Infuser - Large. 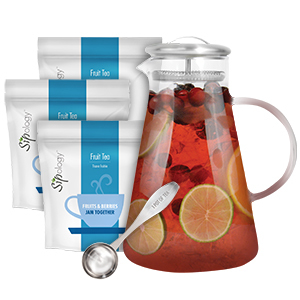 Includes: Sweet Tea Pitcher, 1 Pot of Steeped Tea Spoon, 3.53 oz (100 g) of each Papaya Sangria, Winter Sangria, Citrus Mint Sangria. 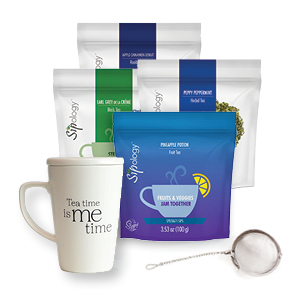 Includes: ParTea Pitcher, 1 Pot of Steeped Tea Spoon, 3.53 oz (100 g) of each Cosmopolitan, Citrus Mint Sangria, Buttercream Carrot Cake. 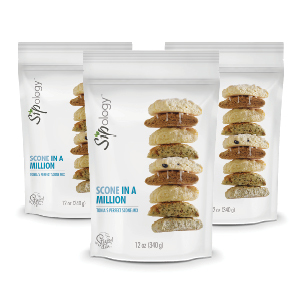 Includes: 3 x Tonia's Perfect Scone Mix 12 oz (340 g). Stock up and save $4. Includes: The Big Sip - Stone Grey, 1 Cup of Matcha Spoon, Your choice of one Matcha flavor 3.53 oz (100 g). 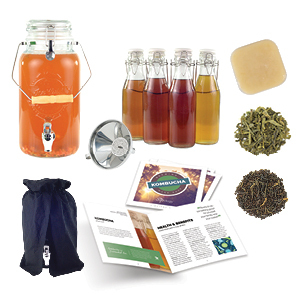 Includes: Kombucha & Party Entertainer, 1 set of Brew n' Serve Bottles, Funnel & Strainer, Kombucha Green Base, Kombucha Black Base, Universal Kombucha Cover, and Kombucha Guide. 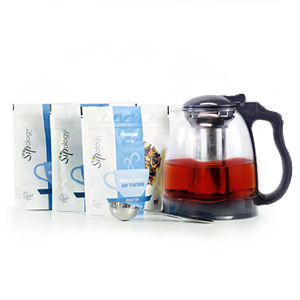 Includes: Earl Grey de la Crème black tea 2.65 oz (75 g), Cosmopolitan fruit tea 3.53 oz (100 g), Peppy Peppermint herbal tea 1.76 oz (50 g), Vanilla Cupcake rooibos tea 3.53 oz (100 g), 50 Steeping Sacks, Pyramid Infuser. Teapot with dripless clips. 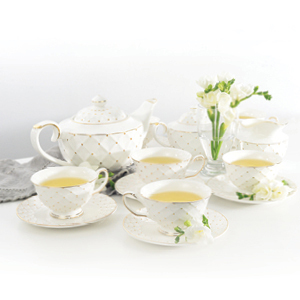 6 teacups with saucers in a gift box. Wood and glass serving tray. Creamer and sugar pot. The Big Sip - Cabana Green, 20fl oz (600 ml). 1 Cup of Matcha Spoon. Select any Sweet Matcha flavor. 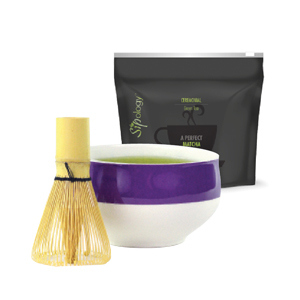 Includes: Matcha Bowl & Bamboo Whisk Set, Ceremonial Matcha 100 g (3.53 oz). 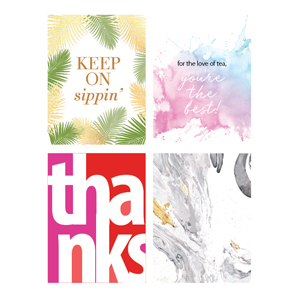 Includes 8 cards with envelopes. 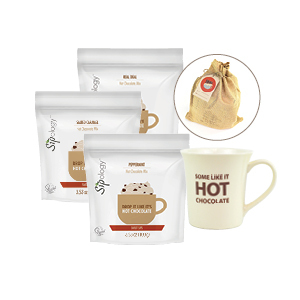 Includes: Hot Chocolate Mug - Exclusive, 100 g (3.53 oz) each of: Real Deal Hot Chocolate Mix, Peppermint Hot Chocolate Mix, Salted Caramel Hot Chocolate Mix. Packaged in Burlap Bag with gift tag. 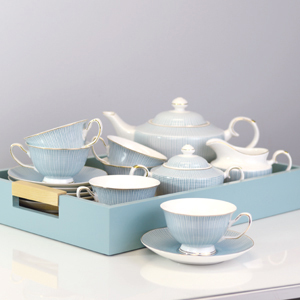 New bone china 15 piece set includes teapot, 6 teacups with saucers, creamer and sugar pot all packaged in a collection gift box. Includes: Quest to Digest 20 Tea Triangles, Keep Dreaming 20 Tea Triangles, Cough Rescue 20 Tea Triangles, Stay Calm 20 Tea Triangles. 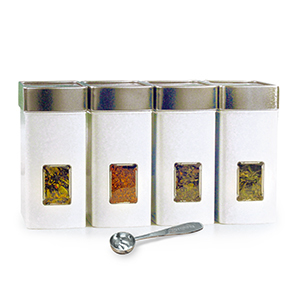 Tourist Tins - pack of 3 (valued at $15) is a Gift with Purchase. 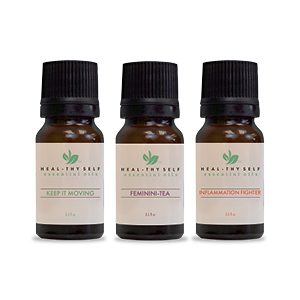 Includes: 0.3 oz (10 ml) each of: Quest to Digest, Keep Dreaming, Cough Rescue, Stay Calm. 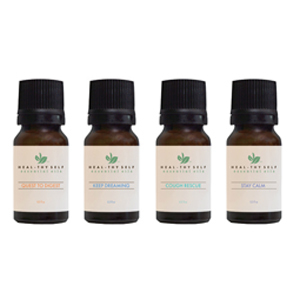 Includes: 0.3 oz (10 ml) each of Stay Calm, Quest to Digest Keep Dreaming Cough Rescue. 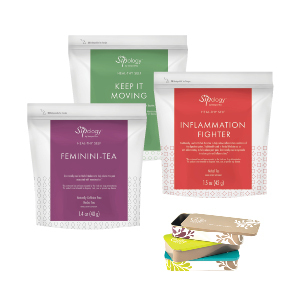 Includes: Keep it Moving 20 Tea Triangles, Feminini-Tea 20 Tea Triangles, Inflammation Fighter 20 Tea Triangles. Wooden sides and glass base with decorative woven design.